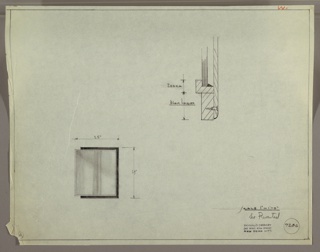 graphite and blue color pencil on tracing paper, ruled border in graphite. 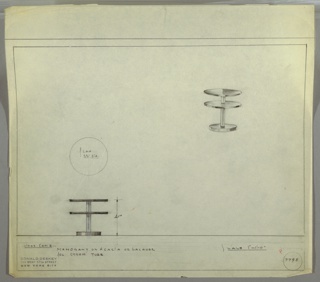 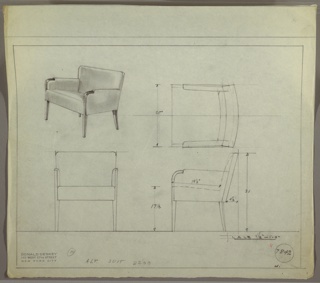 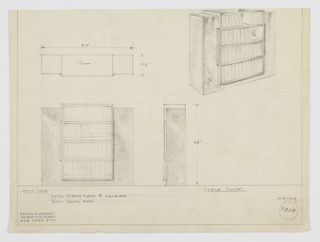 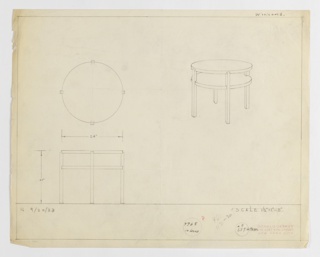 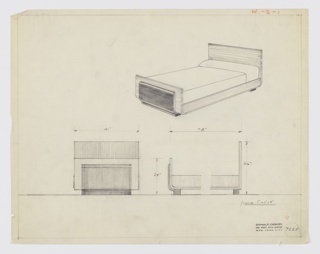 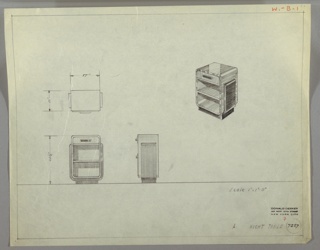 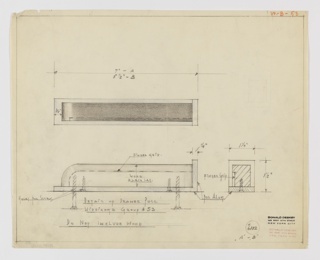 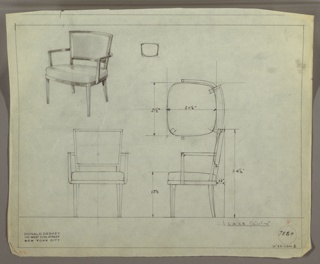 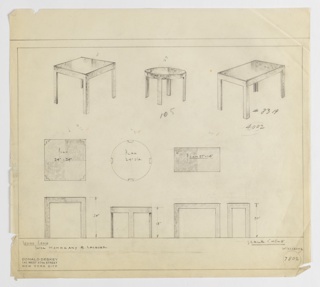 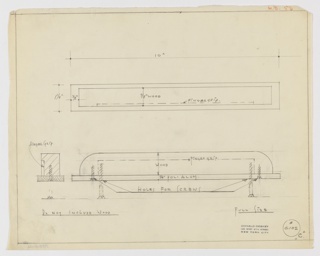 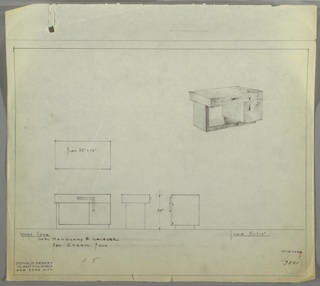 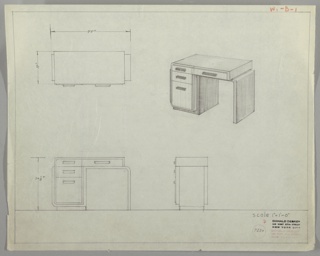 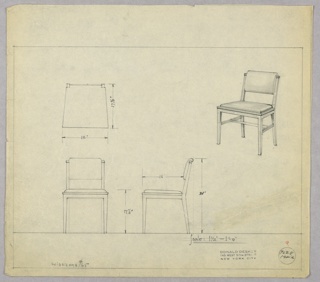 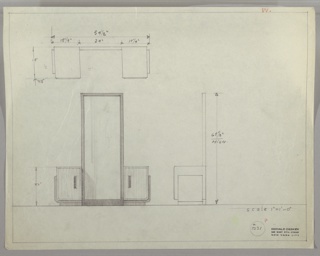 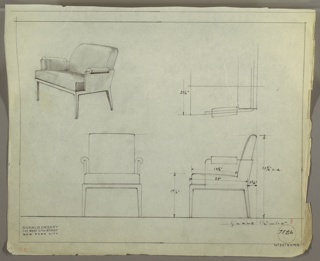 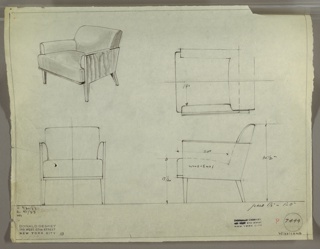 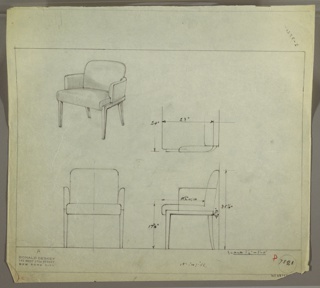 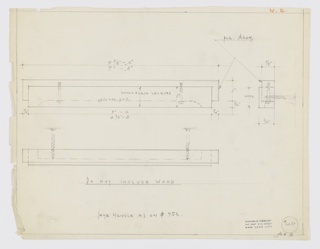 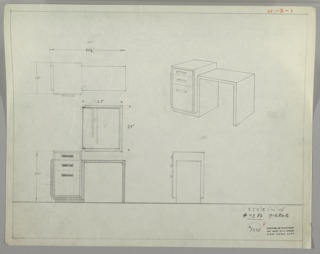 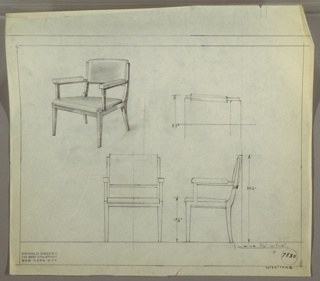 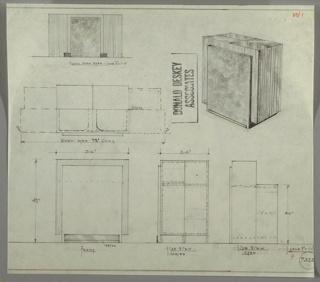 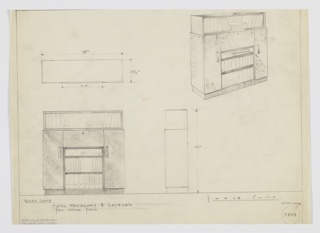 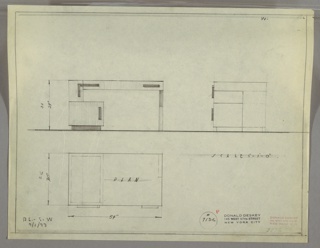 This object was made by Widdicomb Furniture Company and K..
graphite, blue color pencil on tracing paper . 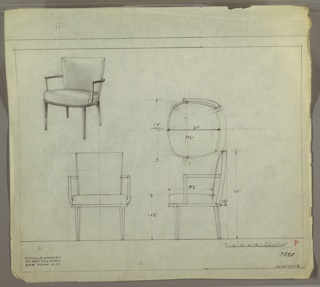 graphite, orange color pencil, and black ink on tracing paper. 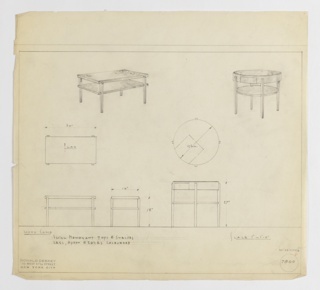 This object was made by Widdicomb Furniture Company and W. and J. Sloane.